This is such a cute idea! I love it, and at least this is one thing you can check off of your list! I sent my bridesmaids really cute cards I ordered off of etsy! I'm having 7 in my bridal party also, I think it's the perfect number! I really like this idea! It fits you and what you do and it's cute and simple. I would have so much fun looking through this website! What a fun idea–I love how easy and personal it is! This is such an adorable idea, what a fun way to ask. This is adorable! 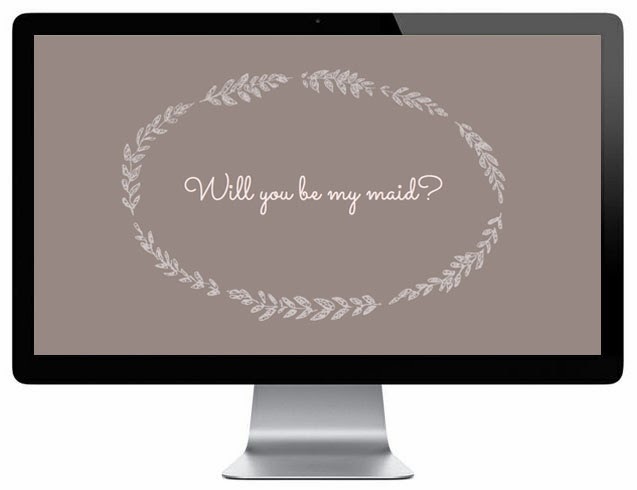 I never realized people did anything to ask their bridesmaids, but I was in two weddings this summer and each girl asked me in the most adorable way. I think I'm going to have to do something creative now that the bar has been set pretty high! Oh this is so awesome! Congrats again! This was a clever and creative way of asking. :-) Cute Idea!